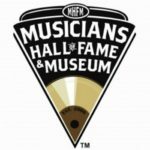 AFM members may nominate instrumentalists, producers, engineers, or bands until April 30th. 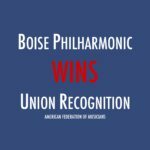 Philharmonic management agreed today to recognize AFM as the collective bargaining representative for the musicians. 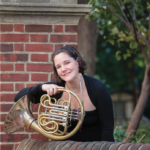 The Philadelphia Orchestra principal horn and Local 77 member performs with chamber groups and as a soloist, and teaches at two of the country’s most prestigious music schools. 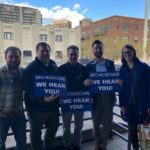 The musicians of the Boise Philharmonic voted overwhelmingly to join AFM today. 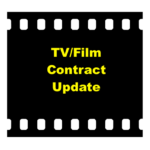 After three days of intense negotiations, musicians have agreed to extend the Motion Picture/TV Film Contract and resume negotiations in November. For the third consecutive year, the president’s budget eliminates the National Endowment for the Arts (NEA). 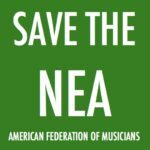 Tell Congress to #SaveTheNEA! 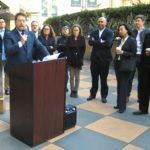 Musicians held a press conference today prior to the start of contract negotiations calling on the Alliance of Motion Picture and Television Producers to negotiate streaming residuals. Studios pay streaming residuals to actors, writers, directors and others for streaming, but musicians are uniquely excluded. 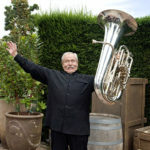 A symphonic, studio musician and union musician for more than 43 years, Jim Self has been an influential player in tuba’s emergence as a solo instrument. 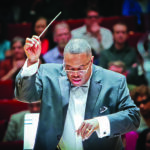 The Chicago Local 10-308 trumpet player, who is artistic director, conductor, and co-founder of Chicago Jazz Philharmonic, is impacting students through Discover Music: Discover Life. 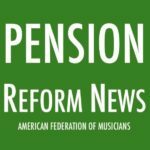 Yesterday Congress introduced a bill to help ensure musicians and other working people keep the pensions they earned.